Attorney General Hector Balderas has issued a scam alert warning New Mexicans of attempted fraud relating to Ocwen home mortgages. The scam preys upon those having trouble paying their mortgages under the guise of a Making Home Affordable offer. The AG recently learned of New Mexico homeowners being asked to transfer money to individuals via Moneygram. Ocwen has investigated the matter and determined third parties are posing as Ocwen employees in order to scam consumers. Consumers receive a letter advising them they are being offered a “trial payment plan” or loan modification; the consumer is then directed to make a call in order to make the payments. The scammers will at times “spoof” an Ocwen phone number so that it appears the person calling is from Ocwen, often using the area code 214. The United States Postal Inspection Service is also working with Ocwen to investigate the matter as mail fraud. If consumers have questions about their home loan, they are asked to contact Ocwen directly at 1-800-746-2936. Consumers who suspect they have been harmed by this scam, have received a suspicious mailing, or have any questions may contact Assistant Attorney General David C. Kramer at 505-222-9100 or 505-222-9134 for assistance. 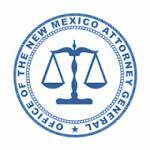 The Office of the Attorney General sponsors the “Keep Your Home New Mexico” program to help consumers avoid foreclosures and save their homes. Homeowners may call a statewide hotline for free housing counseling and other information at 855-664- 6630 or visit www.keepyourhomenewmexico.org.